Grave Keeper isn’t the kind of game I expected to be reviewing in 2019. While indie games made to pay tribute to classic titles from gaming’s past aren’t all that rare by today’s standards, Grave Keeper managed to invoke its own form of nostalgia. It may not be the deepest game, even among others within the same genre, but Grave Keeper offers a casual kind of fun that almost make it worth the price of admission. 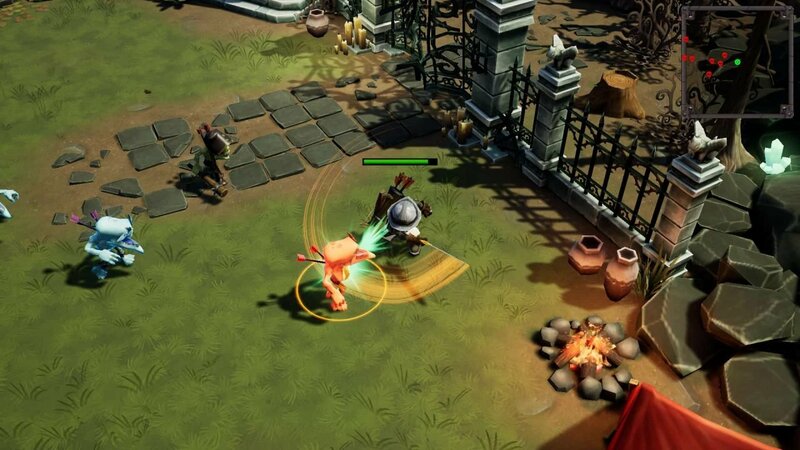 Developed by indie studio Baldur Games, Grave Keeper is a hack and slash action game with light RPG elements. Players take on the role of a nameless bounty hunter, aiming to defeat the skeleton king in order to steal all the treasures from its stronghold. Players hoping for some sort of story will be disappointed to learn that Grave Keeper offers nothing more in terms of a plot. Even the character who provides the game’s tutorial offers no introduction, almost as though Grave Keeper assumes players know exactly what’s going on. Grave Keeper places players in a small arena where they must clear through waves of enemies before taking on a stage boss. Much like its story, Grave Keeper’s graphics are nothing special. The game’s character models are decent, but many Grave Keeper’s enemies are reused palette swaps. The game’s limited number of arenas fare slightly worse, sometimes appearing flat and lacking textures. A much bigger and far more annoying problem with Grave Keeper stems from its audio. Even more so than the number of available arenas, Grave Keeper features an extremely limited number of audio tracks. While the few included aren’t necessarily bad, the short length causes the songs to loop endless until they much more annoying than they are. At first, playing Grave Keeper can feel like a mindless task. In addition to melee weapon attacks, players can fire a long-range crossbow with an unlimited amount of ammo. The game starts out easy, throwing slow moving enemies to help give players a taste of what they’re in for. Defeated enemies grant experience points to level up along with gold which can be used to upgrade equipment. Grave Keeper’s accessibility along with its smooth controls make the game seem easy to grasp and will help players prepare themselves for the eventual increase in difficulty. Grave Keeper offers daily missions and quests, encouraging players to try out everything the game has to offer while gifting players helpful items such as health replenishing potions. After clearing the required number of enemy waves, players can decide for themselves when they want to challenge the stage’s boss. This seemed like a game breaking mechanic. Depending on how determined you are, you could grind endlessly until you’re far above the necessary level, making the next few stages a cakewalk. As enemies become more aggressive though, level grinding becomes a greater risk of its own. In addition, Grave Keeper has players make similar choices when it comes to upgrading equipment. Defeating bosses at the end of the stage rewards players with loot in the form of new equipment or special techniques, raising the question of holding onto gold to upgrade potentially better weapons or upgrading what you already have equipped. For as much fun as Grave Keeper is, the game’s business model is one that will potentially turn players away from ever purchase it. 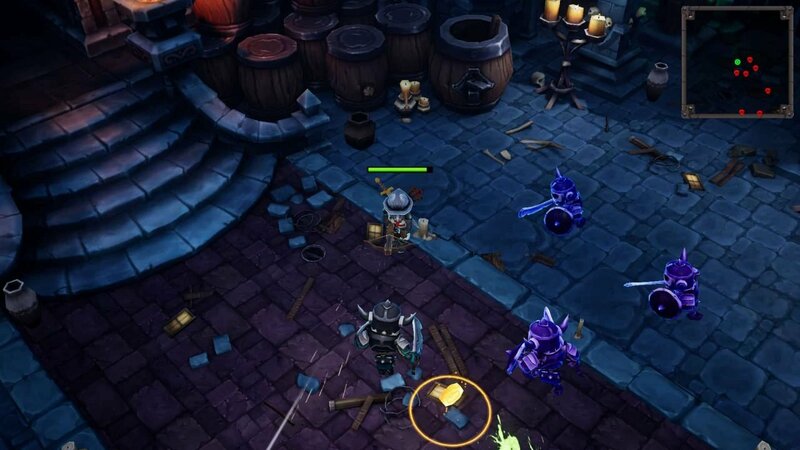 Grave Keeper originally released for mobile devices late last year…for free. While Grave Keeper doesn’t cost much on PC, it’s hard to justify purchasing it over downloading the mobile version for no cost. 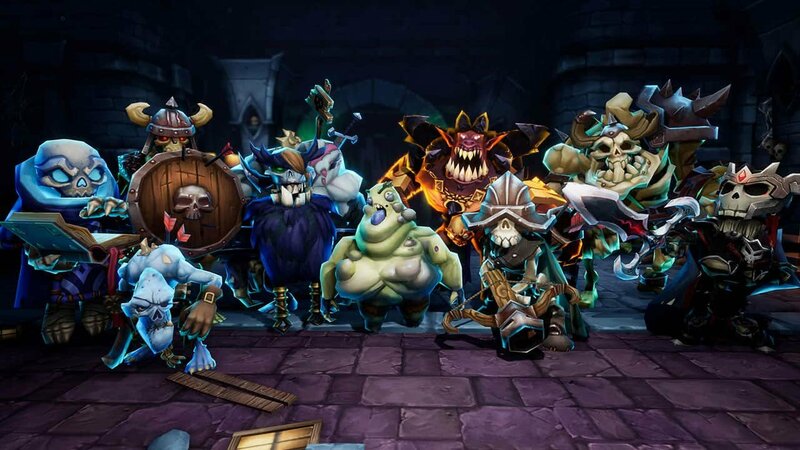 The PC version is meant to have some form of multiplayer, but the mode is currently unavailable, making it completely indistinguishable from its mobile counterpart. An even worse fact is that the PC version retains the micro transactions found in the mobile version of the game. Playing Grave Keeper felt like I was playing a remake of a lost Sega Genesis title. As the game’s challenge increased, I found myself having to act quickly and strategize more often, leading to a more fun experience. Still, knowing I could’ve had the exact same experience for free on my phone ended up souring a game that never felt like a must-have in the first place. Hopefully, the PC version of Grave Keeper continues to receive updates adding new content in order to justify its new price tag. Publisher: Ultimate Games S.A., Gaming Factory S.A.